Everything you read about Ffynnon Fair at Llanfairfechan seems to lead back to a single source. By the time it is described in Hughes and North’s Old Churches of Snowdonia in 1924 it had already been lost for 50 years, but their account remains the sole readily accessible reference for the well. No subsequent writer seems to be able to add anything new to the record. North spent a part of his life resident in Llanfairfechan, so maybe he had the story from one of the older locals he met there. There is no indication on any of the Victorian OS maps of its location. 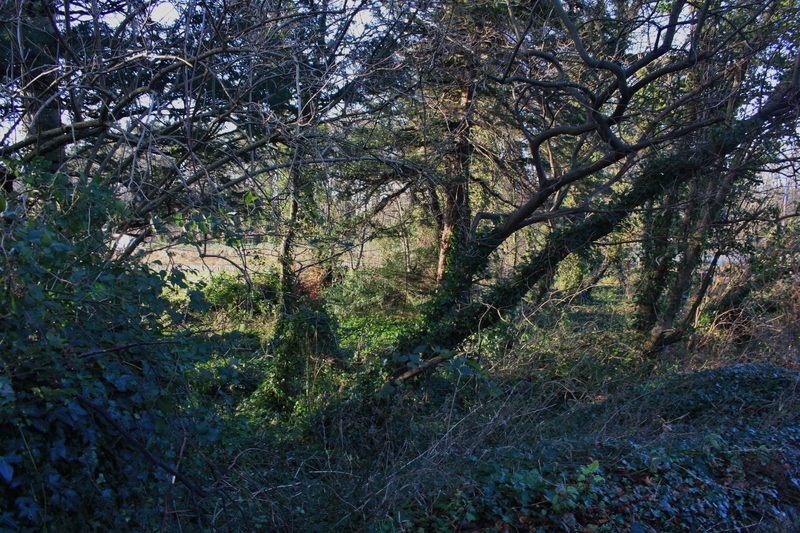 North tells us that the well stood in a field, nearly opposite to the Rectory drive, in a field known as Cae Ffynnon, in a plantation by the remains of some yew trees. He records that water was taken from the well for use in baptism services in the old church. Articles that were supposed to be bewitched were dipped into the well to remove the enchantment. Bent pins were deposited in the well as an offering. 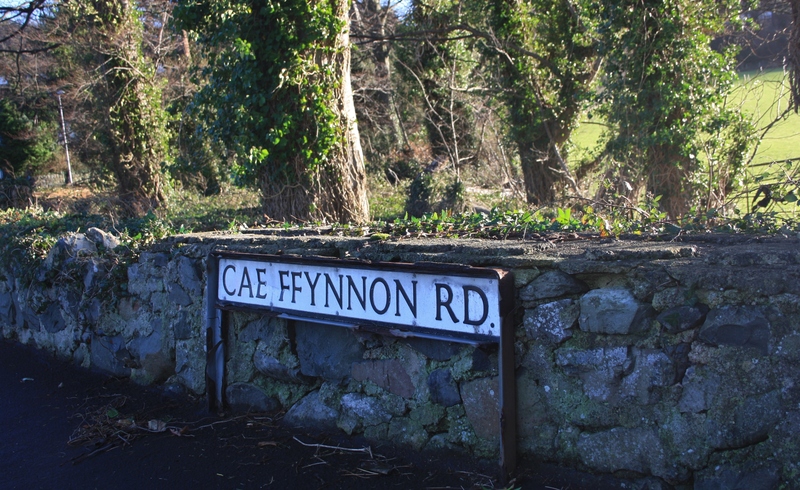 The field Cae Ffynnon gives its name to Cae Ffynnon Road, along the western side of which runs a line of trees. Our best estimate of where the well might have been is within the somewhat wider clump of trees opposite what was the Rectory drive, now the entrance to Bryn Castell. Despite even the heavy rain which had fallen over the last few days the ground remained resolutely dry and our collection of bewitched objects had to remain un-dipped. From older maps the field seems to have been much bigger in the 1880s, additional field boundaries have been introduced since, and the coppice to the west was wholly within the field at one time, with footpaths marked inside it. Although this agrees less well with North’s comment about being opposite the Rectory drive, this could be an alternative possibility for the site of the well. It should be noted that some sources quote the date of the well’s closure as 1874. Whether this comes from another more precise record, or whether it is based solely on counting back 50 years from North’s 1924 publication date is uncertain. I have information from one correspondent now in his 80s, with a strong interest in the history of Llanfairfechan, who once asked his grandmother about the well, her memories would take us back deep into the nineteenth century, but she knew nothing of it.